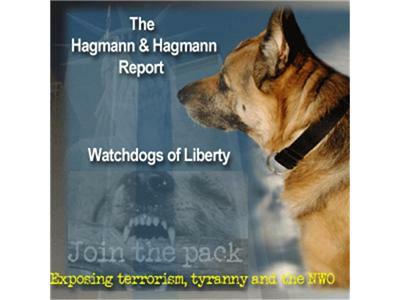 If you liked this show, you should follow The Hagmann Report. The Guerrilla Economist” is back and will be taking us deeper into the labyrinth of lies that is our global economic system. Together with Steve Quayle, they will expose what we are about to not only witness, but experience firsthand. A ubiquitous banking, techno feudalistic system and the coming “allowance code” that will ultimately dictate your financial life to such an extent that you will be reduced to a global number through your global identity account. A system that will be able to monitor every transaction you make, and further dictate your ability to live where you want, buy what you want, and oversee everything you so. An economic “big brother” scenario that is closer than you suspect. This is a listener supported show. Only if you have the means and and would like to help you can donate here. If you cannot contribute financially like many people in the struggling US economy please spread the word about the show and keep us in your prayers. Real information. Real truth. Less hype. TOGETHER, THEY ARE AMERICA'S PREMIER FATHER-SON INVESTIGATIVE TEAM!